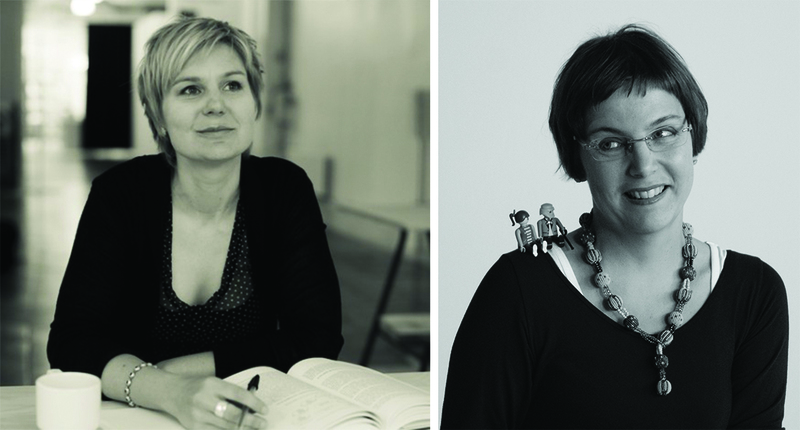 The Codesign Research Cluster invite for two talks by associate professor Tuuli Mattelmaki and post doc Kirsikka Vaajakallio; Department of design at Aalto University. Place: KADK, building 90, Room 90. 1. 20. Empathic design has been one of the building blocks of design research at the Department of design at Aalto University School of Arts, Design and Architecture. The research started with the need to have a strong connection with product design practice in contextual, experience-driven user studies. Explorations with methods that applied design competence and emotional topics sought to inspire design through contextual understanding and personal engagement. The mindset that aimed at making sense of people on the one hand, and, for creating openings for design on the other, was adopted and elaborated by many practitioners and researchers. In this seminar we first look at the trajectory of empathic design which today covers a variety of topics, including service networks and service development in public organizations. Secondly, we present Atlas-game and its development journey as an example of designing for engaging co-design. DA, industrial design, Tuuli Mattelmäki is associate professor in design, especially product service systems at the Department of Design, Aalto University, School of Art, Design, and Architecture. She has acted as the head of research, deputy head of the department during the first part of 2013 and is the founder of engaging co-design research (ENCORE) research team. Tuuli has been an influential person to study, create and develop exploratory methods for human centered empathic design and design research. Her doctoral research on Design Probes have been among the pioneering research in the field. Her earlier positions include coordinator of the Design Connections doctoral school and acting professor in design research as well as Academic Board Director in Aalto Service Factory. She was also awarded as the industrial designer of the year 2008 in Finland for her achievements in design research. DA, industrial designer, Kirsikka Vaajakallio is postdoc researcher at the Department of Design and a member of engaging co-design research (ENCORE) group. Her main areas of expertise are: user-centred design, empathic design, co-design, and service design processes, methods and tools. Her doctoral research “Design games as a tool, a mindset and a structure” focused on the borderline between co-design and game-like activities; play, games and performance were explored to assess their possible implications for organising co-design among researchers, designers, users and other stakeholders in diverse design contexts. She works currently in Atlas -project where multidisciplinary group of researchers co-develop a map of collaborative methods for service development, design, and innovation. She also works as a service designer in a Finnish design agency called Diagonal.